Service. To the Extreme. Is our motto – what does this mean to you? 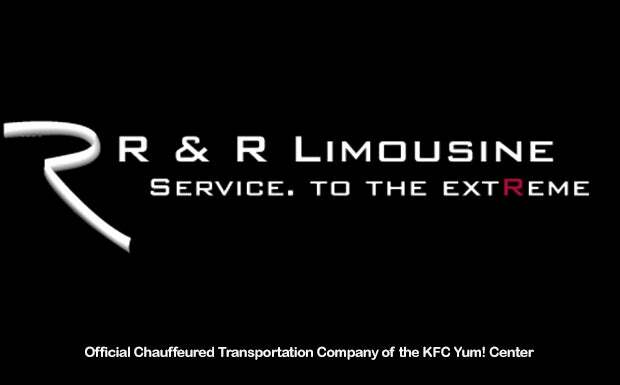 Trust the top-rated official luxury transportation provider of the KFC Yum! Center, R&R Limousine, to provide a trifecta of services to meet your local transportation, bourbon tour or large group outing needs. We don’t simply offer transportation, but also the expertise to create a memorable experience where the ride is just as unforgettable as the destination! Our team of experts specialize in 3 key areas to help you craft the perfect experience based on your needs and desires. • R&R Limousine takes all the anxiety out of your local transportation needs. You can trust us to arrive on time in a clean, modern luxury sedan, SUV, limousine or mini-shuttle, with a smiling chauffeur there to open your door. We’re there to provide a romantic night out on the town, a calm and stress-free ride to the airport, a safe and responsible night out for prom, or a fairy-tale wedding trip. Our modern technology means your chauffeur is never more than a text message away, and our 24/7 support center offers you round-the-clock peace of mind. Consistently reliable and friendly service is what you can expect each and every time you book. • Cosmopolitan Coach is there to help you plan your large group events or out-of-town trips. Let us be your surrogate travel agent, concierge, convention coordinator or even wedding planner as you trust our expertise to guide your decisions on scheduling, pick-up and drop-off logistics, dining options and more. Our service coordinators will be there with you each step of the way, going above and beyond a simple transportation itinerary and making each step as convenient for you and your guests as possible, all within your budget. • Copper Still Tours will help you choose your perfect Kentucky day as you explore our region’s amazing bourbon heritage. Our team of experts will take you from square one, even if you are not familiar with the bourbon tour process, and will help you craft the perfect experience based on your preferences and personality. We have dozens of suggested itineraries we know will delight even the most die-hard bourbon fans, or we can help you create a unique and memorable experience your loved ones will remember for years to come. For your convenience, we offer a concierge service where we can arrange not only your transportation, but your tickets, catered food and more. Regardless of your specialty service needs, leave everything to us and just sit back and enjoy the ride in our top-of-the-line luxury vehicles. All of our vehicles are chosen with your comfort in mind, and will allow you to relax in style, bringing you right to the door of each destination. And our dedicated chauffeurs will make your day truly memorable and hassle-free. Trust the trifecta of services from R&R Limousine to provide Service to the Extreme! To make a reservacation or for more information, call us at 502-458-1862.